Studio City Best Kitchen Remodeling and Repair Contractors. Finding a kitchen contractor you can trust in Studio City is a lot harder than it sounds. There are tons of contractors that provide custom kitchen remodeling but very few truly pour their heart out and remodel their kitchen like it’s their own home. Novel Remodeling provides a truly unique experience when homeowners just like you hire our kitchen contractor. Our kitchen contractor can help you design, select materials, plan, and build the dream kitchen you desire. In Studio City, CA there are beautiful homes that have the room to expand the kitchen and build a kitchen you can be proud of. We specialize in custom materials for your kitchen cabinets, granite or quartz counter-tops, and a professional installation we stand by for years to come. Remodeling your kitchen in Studio City, CA takes years of remodeling experience to do it right. Our contractor has been in the kitchen remodeling industry for over 12 years. We built countless kitchens for homeowners in Studio City, CA. Whether you’re remodeling your condominium or expanding your kitchen for your single family dwelling, we are here to help you get started. Our kitchen contractors in Studio City are reliable, trustworthy, and licensed experts. Our kitchen remodeling begins with sketch or 3D design plans for homeowners interested in upgrading or remodeling the entire kitchen. We then go over details like our cabinet selection, our counter-top brands, and what we can potential do after we know more about the plumbing and electrical. We then have our demo crew arrive and destroy your old kitchen and preserve what we can reuse for your new kitchen. Once all materials are at the job site, we confirm with clients and install the materials. Got a challenging kitchen and need help remodeling it? Novel Remodeling and our kitchen contractor in Studio City love challenges. Schedule a free estimate to learn more about our contractor, and what we can do for your home. 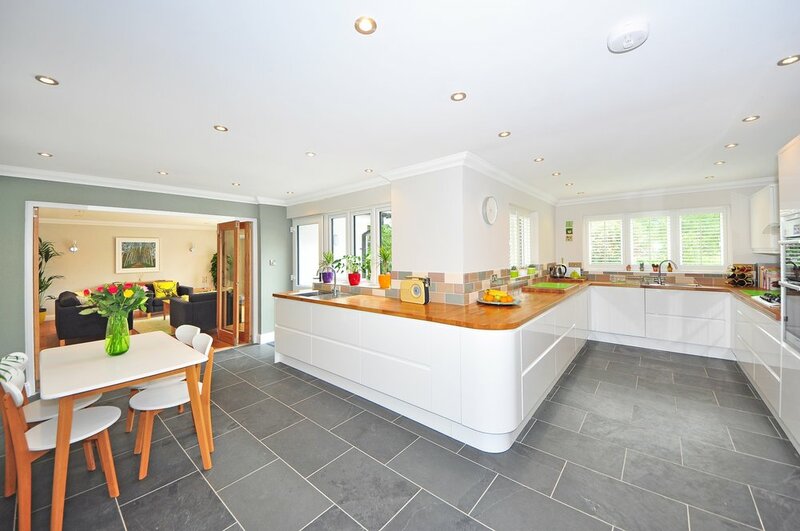 Interested in repairing your existing kitchen? Our kitchen contractors provide affordable repairs in Studio City, CA. We provide value by reusing what we can salvage and replacing what we cannot to restore your kitchen to its rightful form. Our kitchen remodeling and repair contractors provide cabinet resurfacing for homeowners. Cabinet resurfacing works if you have solid wood cabinets that are in good condition and need to be restored or refreshed. We go beyond cabinet resurfacing by providing cabinet repairs for broken cabinet handles, cabinet face boards and more. Counter-top repairs usually involve scratches, dents, chips and burnt stains that would not come off. Our counter-top repairs begin with a free estimate to understand the damages and the cause of the damages. Some homeowners can use a kitchen counter-top upgrade especially from old laminate countertops. Scheduling a free estimate today to get started. Electrical and plumbing are key ingredients that make up any kitchen remodel. Installing electricity correctly to pass inspection and get your kitchen approved is what we do best. Our plumbers also provide premium quality plumbing that will help your kitchen function efficiently, and leak free.